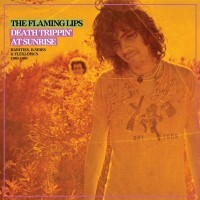 Death Trippin’ At Sunrise: Rarities, B-Sides & Flexi-discs is a new rarities collection, packed with the music originally released on singles, flexis and various compilations. It includes their Sub Pop single “Drug Machine In Heaven”, “Stychnine/Peace, Love And Understanding” and a cover of “After The Gold Rush” from a 1989 Neil Young tribute album. A number of the tracks on the rarities compilation are making their first appearance on vinyl. All of the music on vinyl has been remastered from original sources by the band’s longtime musical foil and producer, David Fridmann, with help from the Lips’ Wayne Coyne and Michael Ivins, with lacquers cut at Sterling Sound. Additionally, the studio albums – which have been out of print for years – have been restored to their original cover art.